EcoNusa Foundation is a non-profit organization aiming to boost up various local initiatives at national and international levels in a bid to provide support to a sustainable and equal management of natural resources in Indonesia. EcoNusa Foundation, based in Jakarta with work focus on Environmental issues such as Forests, Climate and Ocean, mostly focus on eastern Indonesia with National and International approach strategy . EcoNusa encourages the development and capacity building of civil society group to perform advocacy, campaign, communication and stakeholder engagement strategy, and dialogue among stakeholders to meet natural resources management in sustainable manner while promoting equality, conservation, and transparent values. EcoNusa vision is to become a credible and influential agent of change in support of sustainable environmental development while promoting equality and conservation values. EcoNusa strives for accountability and transparency in a bid to become a credible and influential agent of change to meet the vision and mission for sustainable environment and humanity. Are you creative, dynamic and driven by a passion for biodiversity and vision for a world where people live in harmony with nature ? If yes then we are looking for you. The Program Manager provides leadership to program activities in EcoNusa and where EcoNusa operate. The position is responsible for setting direction, strategy and plan for the program and activities and including strong coordination with communications and engagement team in the region. As line manager of program staff and communications staff, the Program Manager is responsible for performance management, staff development and assigning staff to project teams. The Program Manager may be assigned to lead projects which may involve other partners. The post holder works under the general direction of Managing Director with some supervision from the Chairman, and assume responsibility for the program activity in the specific region. The post holder demonstrates considerable independence and initiative with respect to decision-making, and provides leadership for planning, development of program strategy, overall program and organizational communications strategies. Decisions made by the post holder significantly impact the overall success of EcoNusa program in general. The post holder manages a team of campaign and communications staff. Discretion is exercised in handling confidential and sensitive information. The post holder prepares, monitors and controls expenses and budget. Direct and oversee the planning, development and implementation of campaign and communications in a specific region. Provide leadership to the development of objectives, strategies and program activities in close collaboration with other organization functions in order to achieve well integrated and impactful program work. Propose projects according to intervention strategy; provide knowledge-based guidance to the development and implementation of projects. Stay abreast of current and emerging developments relating to the campaign issues, and traditional and digital media trends. Analyze new developments in support of program vision, objectives and strategies. Provide guidance to the communications team in the region where the position is located, in response to internal and external trends. 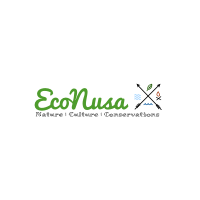 Actively represent EcoNusa in public activities, the business, scientific and government sectors, the environmental community at large and the media, to achieve campaign objectives and strengthen the profile and credibility of EcoNusa. Undertake reactive and proactive media work as required. Liaise and build relationships with business, government and non-governmental organizations on issues of relevance to meeting program objectives. Communicate and engage with inter-governmental bodies and government officials as needed. Prepare written materials, communicate with government officials, industry and media representatives. Make presentations and respond to public speaking requests. Liaise with other Partners in Local, National and International. Promote support within EcoNusa to advance program goals. Provide team leadership. Manage, motivate and facilitate the work of staff. Inspire and encourage staff to be innovative in all aspects of their work. Determine priorities, assign responsibilities and supervise staff. Allocate staff to projects and provide knowledge-based guidance to design and implementation of projects. Coordinate staff capacity according to program priorities. Provide expertise with respect to specialized program areas. Maintain high-level of knowledge on the issues related to responsible areas. Provide expert and strategic advice to management on all internal and external issues related to the responsible area. Oversee budget and ensure that all expenditure is kept within the allocated budget. Ensure financial and administrative procedures are followed by the team. Professionalism, in particular in particular strategic and analytical abilities, and management skills with at least 5 years of experience. Achievement, in particular in particular demonstrated ability to achieve program objectives with at least 5 years of experience in related fields. Identification with Greenpeace goals and supportive of Greenpeace values. Identification with activism and dedication to social and environmental change. Ability to learn from experience. Works in a standard office environment, and is frequently required to travel to other region and internationally. Be on call after hours and on weekends as requested.